Octavo. 240 pp; illustrated with over 500 color photographs; bibliography; pattern index. Flexible binding. A fine, unused copy. A concise practical reference to building, displaying, and caring for a collection. Aimed at collectors from novices to experts, this new guide provides an identification guide with more than 500 pieces illustrated and identified, and organized by type of ware and by specific shape. 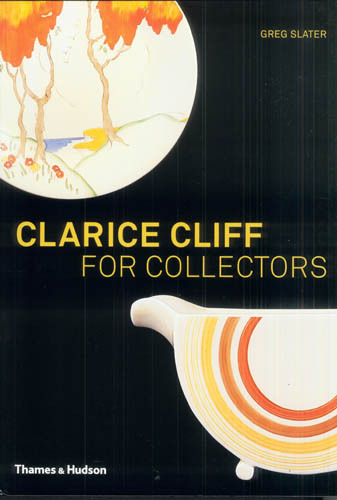 Greg Slater is editor of the magazine for Clarice Cliff collectors, The Agora.